Ah, the art of attracting new clients or members and retaining the ones you have. With so many different methods of promoting your intro offer, new class, or teacher training it can feel completely overwhelming. Do you Tweet? Do you post to Instagram? Do you Snapchat? On top of that, every company under the sun is trying to capture people’s attention, so it can feel near impossible to make an impression. However, what if there was a neglected marketing method that, when used correctly and as part of a multi-touch marketing campaign, can yield results unlike any of the current “hot” methods? That’s right, we’re talking about sending your prospects and clients something direct to their physical mailboxes - otherwise known as direct mail. Before you say “Mail? Like the stuff in my mailbox? That’ll never work!” you should know that direct mail response rates are at their highest point in over a decade. Also, according to an InfoTrends survey, 82% of direct mail is read for a minute or more and 56% of consumers who responded to direct mail went online or visited a physical store. First, you need some mailing addresses. If you’re going to be sending to your current members or clients then this should be rather easy, but don’t just send the same thing to everyone - we’ll get to that later. If you want to use direct mail to attract new business, there are ways of sending targeted mailers to people that meet the location and demographics of your choosing. In order to accomplish that type of localized and targeted direct mail campaign you can use a service like Mailjoy which can assist in segmenting and sending to the right people, even if you don’t have their addresses. Second, it’s important to realize that you can start small. Just dip your toe into your first direct mail experiment. It’s a fact that most initial marketing experiments won’t bring in the type of results that are desired, but with a little planning you can ensure you’ve put your best foot forward. With some direct mail companies offering little to no minimum sends or spends it can be incredibly easy to test out different campaigns and messages. We continue to expand on all of this information throughout the rest of this blog, so keep reading! What is the one thing you want to achieve with your direct mail campaign? Do you want to promote an intro offer? Do you want to upsell your current clients on a new service? The list goes on and on. Be specific with yourself and your prospects/clients and don’t provide too many options or messages. Every piece of content within your campaign should focus on getting the recipient to take the desired action which in turn contributes to your goal. Segment Your Lists. Who’s Your Target Recipient? Would you send the same happy birthday card to your grandma as you would your 2-year-old nephew? Probably not. The same goes for your direct mail campaigns. 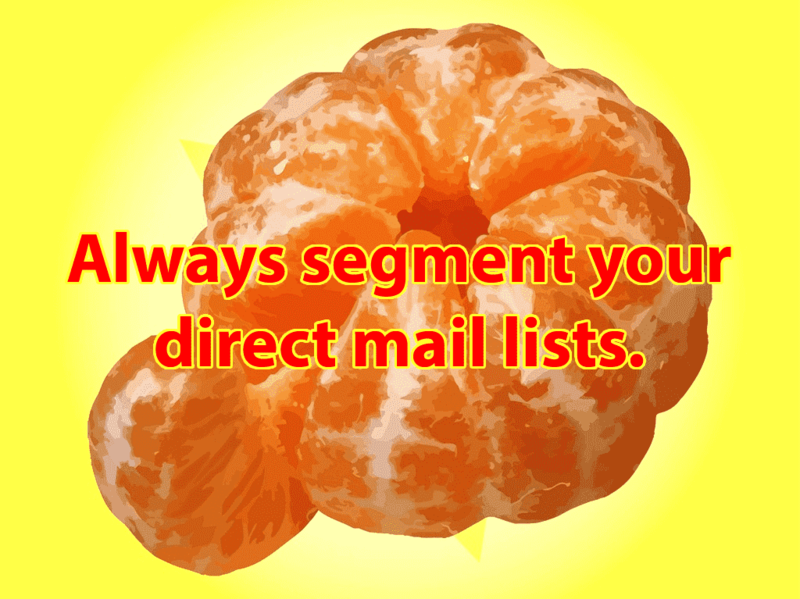 Instead of sending the same thing to your entire list, think about the best ways of segmenting them depending upon your campaign and campaign goal. While there are certainly ways to create generic direct mail campaigns that will work for all of the people on your mailing lists (ex. "Respond to this postcard and we'll give you $1,000,000 cash! "), it will almost always generate better results if you segment your lists based on the aforementioned goal of your campaign and the best audience for it. Sending physical mail isn’t free like it is to send email, so you need to be a little more careful in your experimentation. However, the point of trying something like direct mail is to make an impression that your current and future members aren’t expecting, and that your competitors aren’t already doing (or at least doing well), so don’t be afraid to spend some money - just do it wisely. If you’re sending to your existing clients or members you’ll already have some great segmenting data to work with. 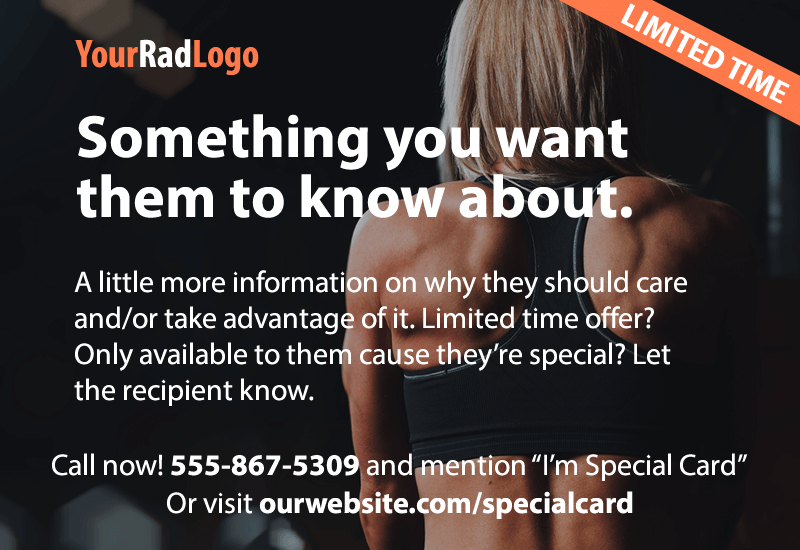 You know when their membership is due to expire, how often they use your facilities or attend classes and more, so you can use this information to target them accordingly. And hey, if you use Club OS for your automated sales and retention emails you'll already have an idea of what messages work. 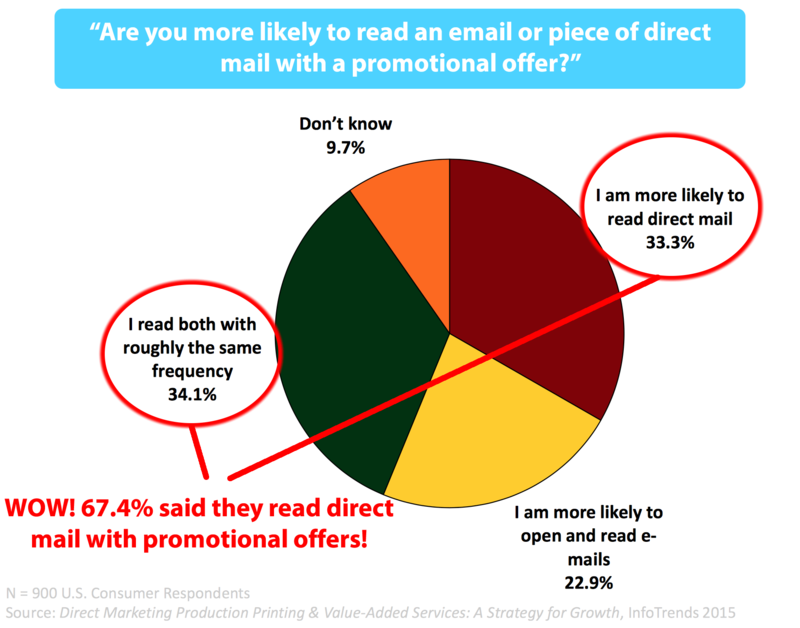 If you’re looking to grow your memberships or client base, and don’t already have a mailing list of qualified prospects, you can still effectively use direct mail marketing. All you need is to know the zip code of the area in which you'd like to target and some basic demographic information about your ideal client type. 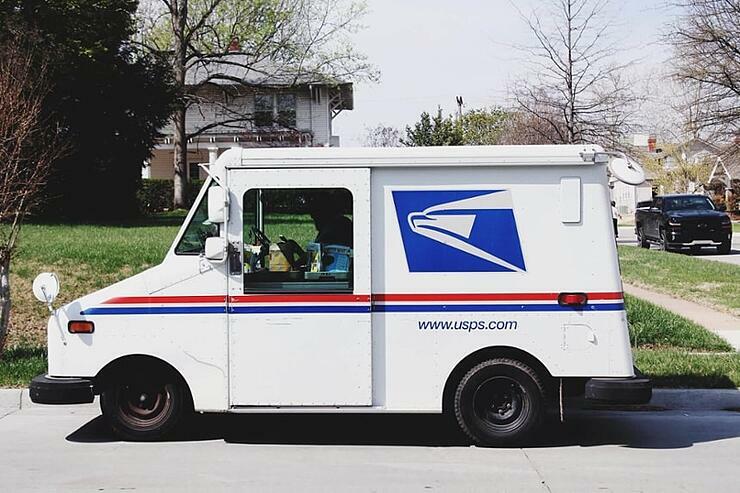 With that information you’ll be able to use the USPS's “Every Door Direct Mail” service to do a targeted, localized campaign or use one of their approved partners. What Should You Send? Postcard? Letter? Package? The most cost-effective method of trying out direct mail is going to be with postcards. They’re cheap to produce and with the right design and copy can be very effective. Whether you want to start with a send of 10 or 1,000 postcards, this is easily accomplished, though obviously there are more price breaks to be had with larger sends. Some services that handle printing, design (or give you templates), and mailing can be a great resource. Sure, you’ll pay a little more than if you did it yourself, but if you factor in how much your time is worth then you’ll end up saving money (and headaches). Sample Mailjoy postcard pricing. Includes printing, mailing, tracking, and managing. That being said, bulkier mail is going to have a better response rate. Small boxes, padded envelopes, and even tubes will standout more than postcards or letters, but will obviously be way more expensive and probably not practical for most fitness businesses just getting into direct mail. However, they can work wonders when used sparingly such as sending a box of treats to an important member thanking them for a referral or encouraging them to extend their agreement. Until you’ve established what type of bulky mail works best for your fitness or studio business, it’s best to think of them like Polaroid photos - use them sparingly to make sure each one counts. What Should Your Mail Look Like? This is a great opportunity to give prospects an idea of what to expect, current members a positive “I already belong and I feel great about it” feeling, and even help past members reestablish why they once loved your gym, studio, or other type of fitness business and should come back. Keep your design and copy on-brand. The colors should match your brand’s color palette, the font should match your website and other marketing materials, etc. If your logo is normally blue, don’t send out a mailer with a red logo. Of course, it’s OK to “flex” your logo colors occasionally depending upon the reason for your mailer (ex. orange for Halloween). As for the graphical elements of your mailer, try to think of something that will stand out while still keeping your ideal recipient in mind. What is most likely catch their attention? This doesn't mean you'll always want to use bright colors and images, it simply depends on whom you're sending to. Segment, segment, segment! And as we mentioned in our previous blog on fitness and gym business photography, people tend to respond positively to photos with people in them. Example postcard design with simple, focused information. When it comes to the copy (the text portion of the mailer), consider being bold and attention-grabbing. Keep the message simple and focused on getting the recipient to take the desired action. What you write will depend upon what you're sending and what your goals are, but you can still employ a "less is more" mentality even with larger mailers or packages. Never lose sight of your goal, it's the reason you're spending money on a physical mail campaign. Make every dollar count. If you have the time and resources you can always manage a direct mail campaign yourself. However, when it comes to managing, segmenting, and tracking results of specific mailing lists it can start to feel like a part-time job. Running a direct mail campaign doesn’t have to be as complicated as it sounds. With services such as Mailjoy, GrowMail, and Amazing Mail, a lot of the heavy lifting can be automated and/or tracked effectively. Ideally, you’ll want to know who’s been sent what and if they’ve received it (though if you’re sending postcards it’s not always possible to know the latter). This brings us to tracking the effectiveness of your direct mail campaign - otherwise known as ROI. Because sending physical mail isn’t free, it’s important to provide a method of tracking the success of your campaign. Of course, this can be difficult since you can’t apply UTM parameters (the standard method of tracking clicks on website links) to postcards you’ve sent out to find out if an action has been taken. However, there are some methods of tracking direct mail campaigns with just a little forethought. Provide a special URL that the recipient can use to take advantage of a special offer. For example, if you’re promoting an intro offer, provide a specific website URL within your direct mail postcard such as www.yourwebsite.com/mailoffer. An example of this can be seen in the sample postcard design above. If you can’t create new web pages on your website, you can still use a similar technique by creating a promotional code that you have your direct mail recipients reference when calling or submitting a form online. For example, if you’re promoting a holiday special you can simply put “call or contact us online and mention ‘holiday card 2017’ to take advantage of this special offer.” Similarly, on your website you can add a "Promo" form field where the recipient can enter the promotional code. If you can't add fields to your forms just ask the recipient to enter the code in the large body text box that your contact form most likely has. Are your sales charts going up and to the right? That's a great sign that something is working, so if you can weed out data from the successes of your online campaigns then it should help to shine some light on the effectiveness of your direct mail efforts. Keep trying new things. If your first direct mail campaign doesn’t meet your expectations, take a look at what worked and what didn’t and then try again. You'll also want to analyze the goals you set. Were they too lofty? That’s OK, you have to start somewhere and you can’t learn anything without trying, but keep in mind that you can be smart about this by segmenting your lists and only mailing things that will most likely be of interest to your desired recipient. Have a goal, don’t confuse the recipients with too many options, keep your design and copy simple and always focused on getting the recipient to take the action you want. Happy sending! P.S. While Club OS can't help with your direct mail campaigns, we sure can with your online and email-based sales and retention efforts. With over 2,000 gyms, studios, and other types of fitness businesses already using our services, we are an industry leader in sales and retention technology specific to the world of fitness. Contact us right now, or click to download the free sales scripts e-book below that you can put into action today.